Specialist adhesives company Intertronics are delighted to announce availability of the market leading UV LED Phoseon product range in a new UK and Ireland agreement. Intertronics M.D. Peter Swanson explained: “We have established ourselves as a key provider of material and equipment for bonding, coating, sealing, potting, masking and gasketing, and we see many synergies here with our extensive range of UV curable materials. 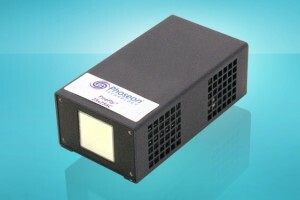 Phoseon LED curing sources range from 75 x 75mm up to 300 x 20 mm operating at standard 395 nm and 365 nm wavelengths. They are likely to be of interest in curing of inks, coatings, adhesives and other UV materials where their stable high intensity over thousands of hours will benefit process critical applications. Phoseon UV LED lamps can be turned on and off instantly, so optimising efficiency and lowering operation costs over the application lifetime, and they are mercury-free and ozone-free. At Phoseon, Rob Karsten, Director of Sales & Marketing – EMEA pointed out, “Phoseon Technology has become a world leader in providing UV LED solutions for commercial and industrial applications with products that deliver maximum UV energy, high performance, and real-world reliability for UV LED curing of inks, coatings and adhesives, so we are extremely pleased to link with Intertronics in order to better serve the needs of customers in the UK and Ireland.